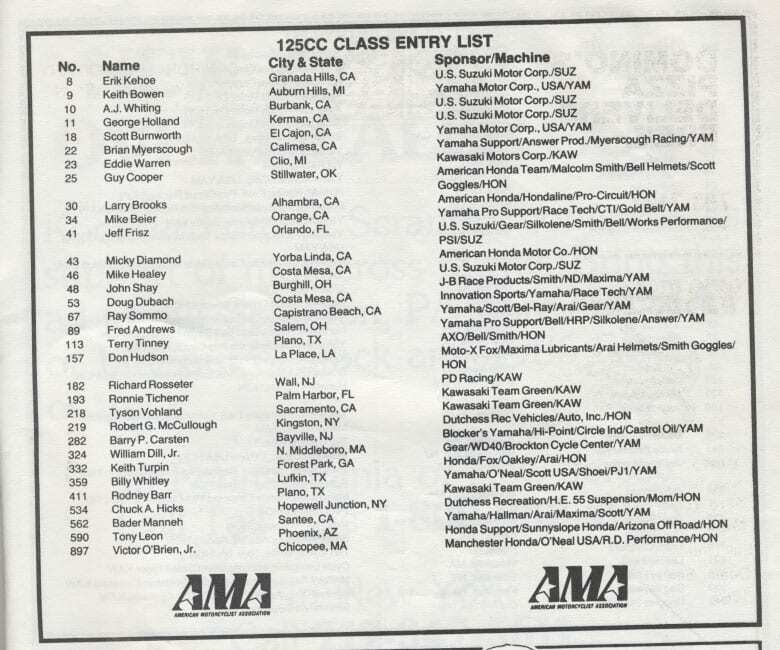 Binghampton, NY national motocross 125 class entries 1986. Two guys from New Jersey are included. #182 Rick Rosseter and #282 Barry Carsten.